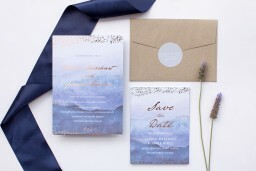 These beautiful modern dusty blue wedding invitations by independent designer Shab M draws its inspiration from the beauty of soft waves and water. 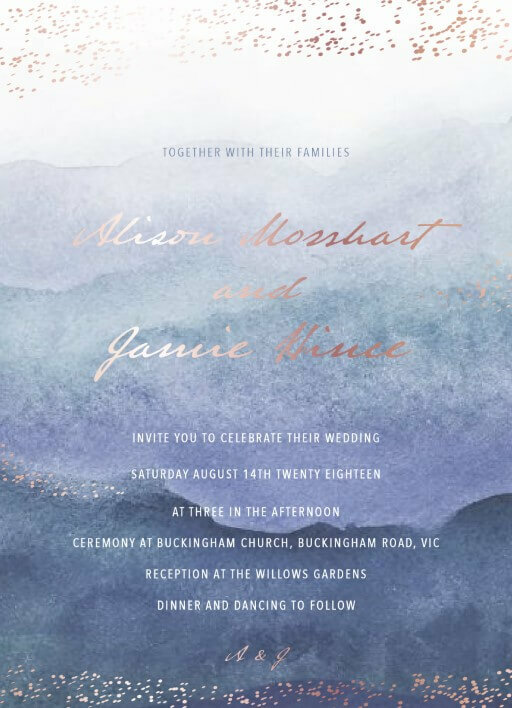 this invitation set is strong in colour yet elegantly painted shades of blue with hints of rose gold foil and a romantic typeface, both foil and digital versions are slightly different however it is very easily customisable and are perfect for those after elegant winter wedding invitations. 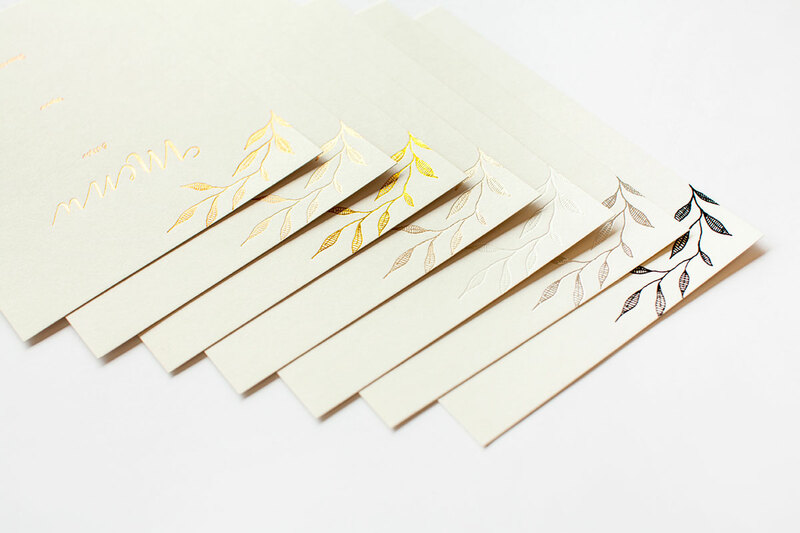 The purple elegant wedding invitations from the broader Mira design set looks stunning when printed using Real Foil and we think it looks stunning on 500 Gsm Linen.